Leading Ladies – Five Dynamic Women Steering Social Change 4. Jaclynn Faffer | President and CEO, Naples Senior Center at JFCS Naples is paradise—but not for everyone. Though famous as a top place to retire, many older residents need help. 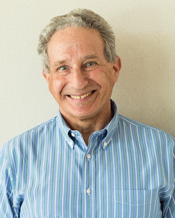 “I never thought there would be a need for an … Read More . . . 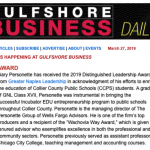 In today’s (3/27/19) edition of Gulfshore Business Daily, Gary Personette’s Distinguished Leadership Award was recognized. … Read More . . . Greater Naples Leadership (GNL) is pleased to announce the nonprofit organization’s Masters Class XXIV. From October 2019 through March 2020, class members will participate in a series of educational sessions: Naples – Past, Present, and Future; Arts and Culture; Healthcare; Education; the Environment; Growth and Economic Development; Human Services; Government; … Read More . . . The Women’s Foundation of Collier County has named Lynn Yaeger Davidson (XVII), Stephanie Spell (XXIII), Barbara Teaford (IX), and Susy Warren (XI), among its 2019 Women of Initiative honorees. (ladies pictured in color, in order from left to right) … Read More . 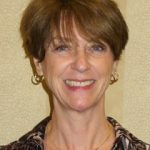 . .
Sandy Parker (X), was named the recipient of the Annual Civic Award from the Greater Naples Chapter of the Americans United for Separation of Church and State. … Read More . 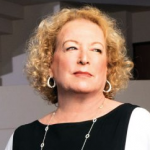 . .
Diana Riley (XIV), founder of Swinging With Purpose, was recently profiled in Grandeur Magazine(Grandeurmagazine.com). Swinging With Purpose has raised more than a half a million dollars for local nonprofit groups that help women, girls, and children. … Read More . . .